Marikina City Mayor Marides C. Fernando was greeted with an advanced Happy Birthday from all the officials of Marikina City during the regular Monday flag ceremony and gathering in front of the City Hall this morning. Her husband, vice-president candidate Bayani Fernando was also present to celebrate. MCF as the Marikina City Mayor is fondly called will be celebrating her birthday this February 10. 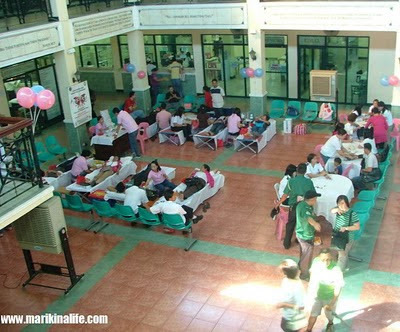 As part of her celebration, she initiated a Blood Letting Program which was conducted inside the City Hall today. 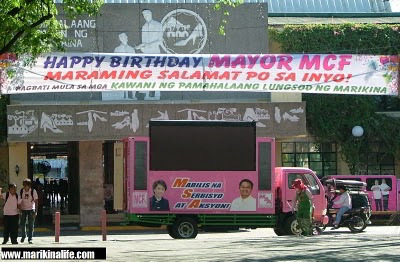 To our dear Mayor, a Happy Birthday to you.